Our little angels smell divine, feel soft and plump, and are so damn cute with their giggling and nuzzling. Sometimes though, they tend to suffer from rashes that may cause distress and uneasiness. Find out the most usual rashes, your baby is likely to suffer from, and how to be prepared. Drooling or sialorrhea is a natural process your baby undergoes and should be more than expected. It gets worse, when your baby is teething with new teeth breaking through their gums. Excessive saliva that stays around your baby’s perioral area for too long, will cause irritation, redness or what is known as the Drool Rash. You could help preventing it to happen by having always soft burp cloths to wipe out the extra saliva around their mouth. If, however, it’s too late, then a specialized cream to soothe and treat the perioral area, is highly suggested. We often imagine babies having a spotless, smooth skin, but this isn’t always the case. Even the tiniest humans may get the universally annoying pimples. These could be red and angry bumps indicating baby acne or they may be small and white, also known as milk spots or milia. Either way, these blemishes tend to go away on their own. However, if they last too long or you’d just would like them to vanish a tad earlier, you’d better be armed with a cream that is specially formulated for babies and infants. Eczema could be tricky thing. It can be caused from a variety of things and sometimes can be confused with nappy rash. Your baby will mostly look like a patchwork or red or dry skin with him/her feeling itchy and uncomfortable. It isn’t as uncommon, as we’d like to think, as it affects about 20% of infants/toddlers. For any treatment, products should have been tested and approved for the delicate baby skin. This is the most common rash of them all. Chances are, your baby has already experienced at least once a diaper rash. The combination of wee and poo leftovers and the constant rubbing against the nappy, may cause them blisters and a sore skin. Make sure the nappy cream you use, has anti-inflammatory, soothing ingredients with regenerating properties. 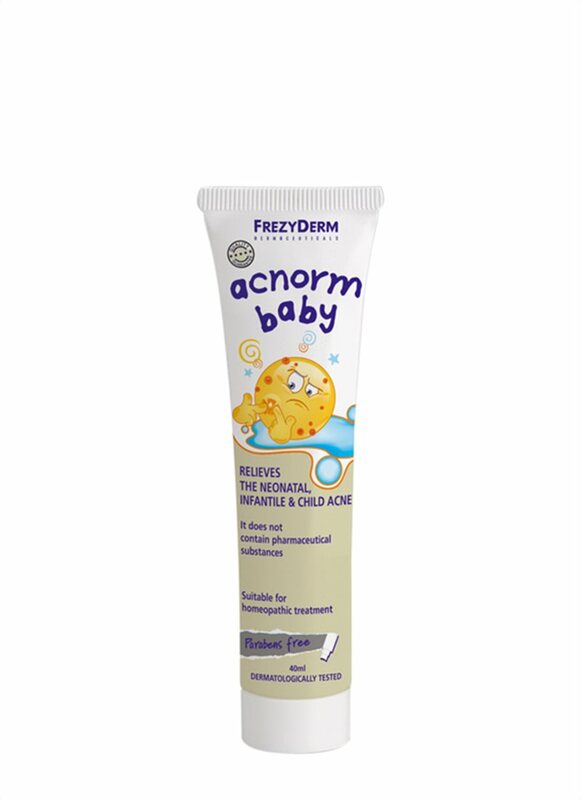 If your baby suffers from eczema, make sure you use a nappy cream suitable for the atopic skin. Cradle cap appears as large, greasy, yellow or brown scales on your baby’s scalp. They are harmless and do not hurt, and they appear on babies around the first two months. It is recommended to wash their head often with a baby shampoo and soften the scales with a specialized emollient oil for cradle cap.